Slice and core fresh pineapple easily with this Pineapple Slicer and Corer—now crafted of stainless steel for better performance. 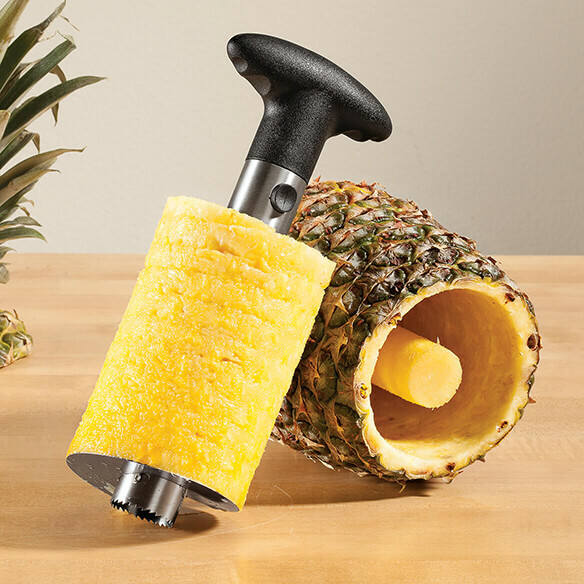 The serrated corkscrew-like slicer/corer helps you quickly transform any size pineapple into perfect spirals, complete with sweet, healthy juices. Simply snap on the handle, insert into pineapple and twist. Ratcheting handle for easy grip. Stainless steel and polypropylene pineapple tool. Pineapple opener measures 9 1/4"L x 4"W.
I live in Florida and love pineapples! I am hoping this will make coring them easier.